If there's any time of the year that gets my crafting itch going, it's the holiday season. BUT with that being said, I am by no means a crafter. My biggest accomplishment to date is THIS DIY, and even a child could do that! 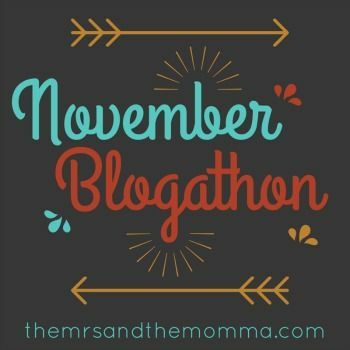 So as the November Blogathon prompt suggested, today's post is about a Fall craft...or a link to one. I clearly took the latter option, but beefed it up a bit. I've put together 5 crafts that are not only semi-failproof, but will make your home/children/etc. look amazing! Gilded Pinecones from Martha Stewart >>> Hello!!!! They sell these kind of beauties for lots of money...why not make your own fabulous golden pinecones! I'm sure you'll find tons of other uses for the gilded enamel, as well. 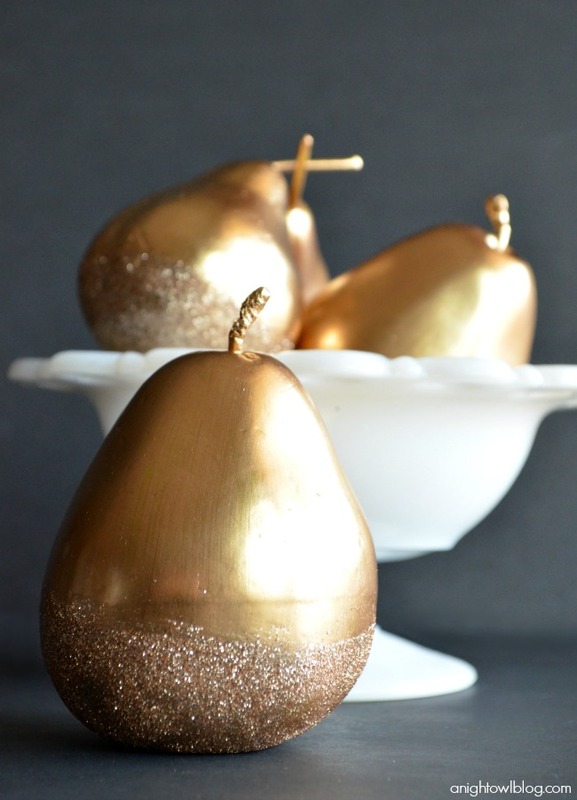 Gilded Glitter Pears from A Night Owl Blog >>> Ha, you see what I did there? It's called foreshadowing. ;) I think this fruitful craft is my favorite of the bunch! How gorgeous is that glitter?!? 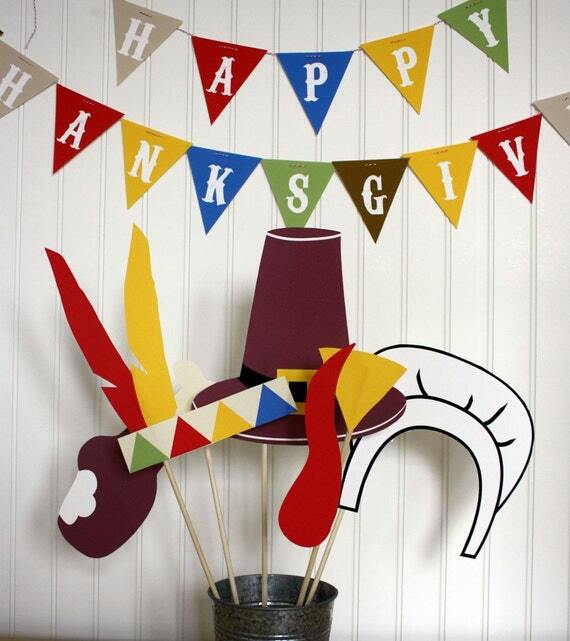 Thanksgiving Photobooth Props from Etsy >>> I love this photobooth idea for family gatherings this Thanksgiving. Now this isn't a craft persay (can be purchased on Etsy), but I definitely think you could give it a shot yourself...or something very similar! Shabby Chic Fall Wreath from The Painted Hinge >>> Follow this link for a comprehensive tutorial...don't let it scare you. It looks like a lot of work, but HOW CUTE is it!?! You could always swap out letters for the "Fall", such as "BOO!" or "NOEL". 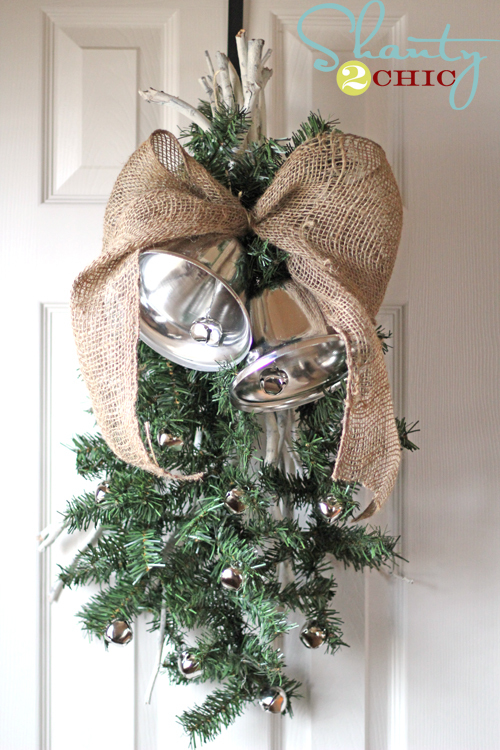 Pottery Barn Inspired Silver Bells from Shanty 2 Chic >>> I've never seen anything quite like this silver bells craft. My favorite part is the subtle white-washed branches...looks classy with a rustic edge. I want to do GLITTERED pinecones! I never thought about just dunking those badboys in paint! OOOOHHHHH great idea!!! Ohhh! The gold pinecones! Great idea!! !